"Johan Dalén, CEO for the Swedish Fur Farmers Association, is the highest responsible for the about 1000.000 minks that are murdered every year in Sweden. 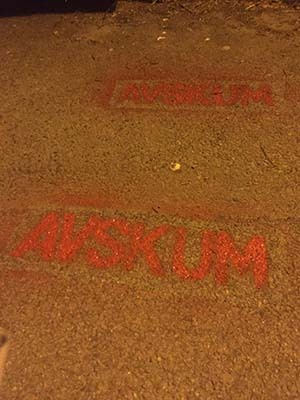 Avskum (Scum) was sprayed in front of his mailbox, so that people can see what kind of a person who lives there. A car was also vandalised and locks were glued. 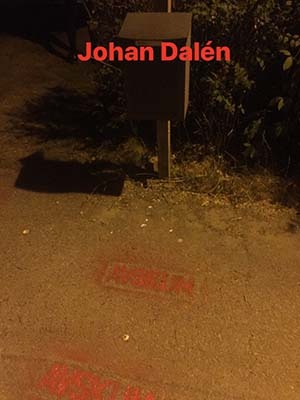 Johan Dalén is infamous for trying to make the Fur industry seem humane, lying about fact, and also lobbying swedish politicians to make animal rights activists be labeled as terrorists. Johan is the true terrorist tho, and property destruction is the least we could do to stop him, and other animal abusers. Not many are going to be willing to take his place as CEO, and defend the fur industry in Sweden. If it is inconvinient enough to abuse animals, no one will do it!"